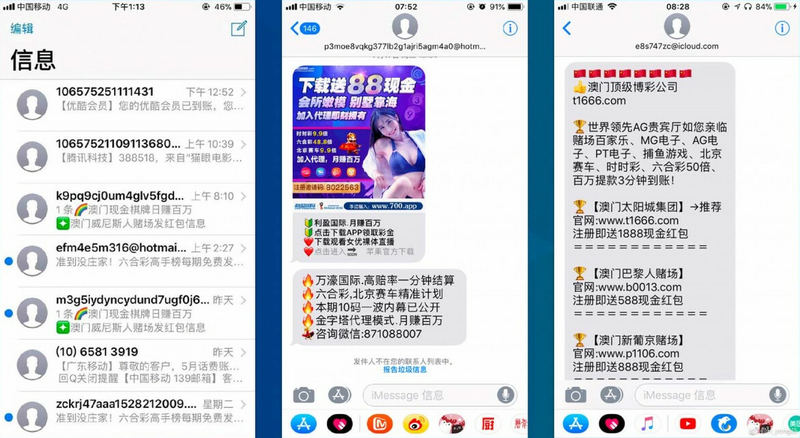 In China, Apple iPhone users are seeing plenty of spam in the Messages app. Most of these unwanted iMessages are coming from shady gambling websites. Outside of a couple of lotteries, gambling is not allowed on the mainland. Thus, Chinese consumers interested in being quickly separated from their money can follow through on the spam, which is being sent by casinos claiming to operating in Macau. But the spam messages actually link back to questionable sites offering online gambling action. Apple being Apple, and iMessages being untouchable, there is nothing that the carriers in China can do; they can and do filter SMS messages because the latter run through their cellular networks. Apple's servers are used for iMessages. And thanks to the end-to-end encryption employed by Apple for texts, the spams cannot be blocked by scanning for certain words. Apple's support page has a suggestion. Go to Settings > Messages and turn on Filter Unknown Senders. That will prevent messages received from people not listed in a user's contacts list from generating a notification. 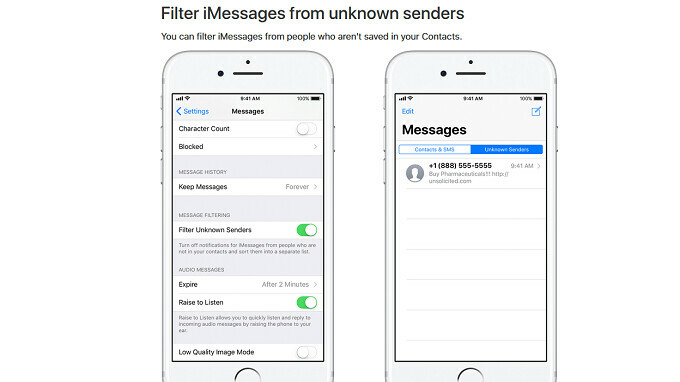 These messages will appear in the Messages app under a separate tab named "Unknown Senders." Users can report spam they receive in the Messages app, which is probably the best way to get Apple to act on it. To do that, they need to click on the "Report Junk" link that is found under messages that come from people not in their contacts lists. Check out the image from the Apple support website that is found at the top of this article. Isn't iMessage linked to iCloud? If it is then the spam may be coming thanks to the new iCloud management. Who cares anyway. In China and India Apple is sank down to minimum sales anyway. Apple doesn't even make the top 5 in China and in India Apple only has 1% sales. How is that relevant to spam messages sgodtroll? You’re the android version of apple-ballz. Care to share the respective smartphone industry profits of each company? Why? Is it a good thing for customers? We need to be able to filter out phone calls not in contacts as well. My kids receive spam calls all day long!